This Act may be cited as the Professional Architects’ Council Act 2011. “Vice-Chairperson” means the Vice-Chairperson of the Council. (1) There is established, for the purposes of this Act, the Professional Architects’ Council. (2) The Council shall be a body corporate. (3) The principal place of business of the Council shall be at such place as it may determine. (j) generally do such acts and things as may be necessary for the purposes of this Act. (e) a representative of the Attorney-General’s Office. (2) The Council shall elect a Chairperson and a Vice-Chairperson from among its members referred to in subsection (1)(a), (b) and (c). (3) A member, other than an ex officio member, shall hold office for a period of 2 years and shall be eligible for reappointment or re-election, as the case may be. (4) The Minister shall cause the composition of the Council to be published in the Gazette. (5) Every member shall be paid such fees or allowances as the Council may determine. (b) on his resignation, by giving notice in writing to the Registrar. (2) Where a member resigns under subsection (1)(b), his seat shall become vacant as from the date on which the Registrar receives the notice. (g) fails to disclose any pecuniary or other material interest which he has in relation to any matter before the Council. (c) the subject of an investigation. (5) Where a vacancy occurs in the membership of the Council, the vacancy shall be filled by a person appointed by the Minister, who shall hold office for the remainder of the term of office of that member. (1) The Council shall meet as often as is necessary but at least once every 2 months. (2) A meeting of the Council shall be held at such time and place as the Chairperson thinks fit. (3) At a meeting of the Council, 5 members shall constitute a quorum. (4) (a) The Chairperson or, in the absence of the Chairperson, the Vice-Chairperson shall preside at a meeting of the Council. 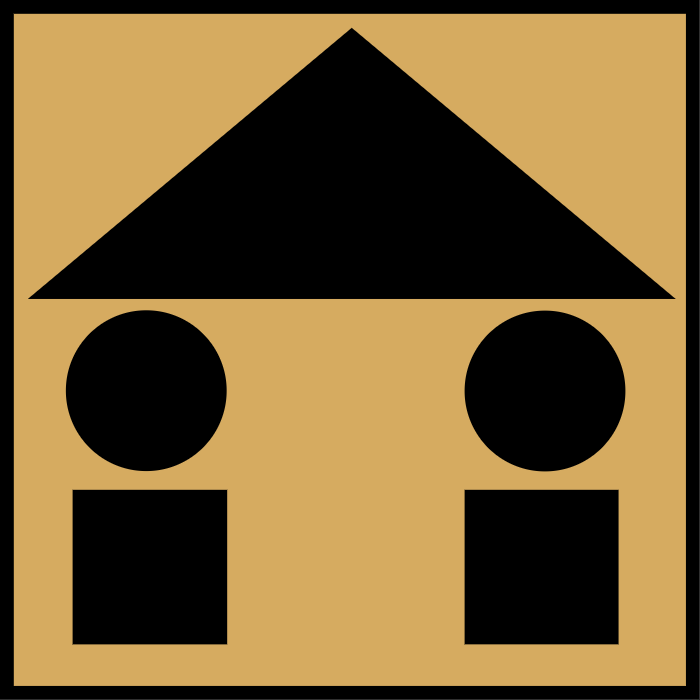 (b) Where the Chairperson and the Vice-Chairperson are absent from a meeting of the Council, the members present shall elect one of the professional architects referred to in section 6(1)(a) and (b) to chair the meeting. (ii) shall be convened by the Registrar within 7 days of the receipt of a request in writing signed by not less than 5 members. (b) The request made under subsection (5)(a)(ii) shall specify the purpose for which the special meeting is to be convened. (6) The Council shall regulate its meetings and proceedings in such manner as it may determine. (1) The Council shall set up a Registration Board to assist it in the determination of applications for registration as a professional architect. (b) of good character and who have not been convicted of an offence involving fraud or dishonesty in any country. (1) The Council may set up such committees as may be necessary to assist it in the discharge of its functions, including the conduct of a preliminary investigation. (2) A committee shall consist of not less than 3 members of the Council and such other persons who may be co-opted by the Council. (c) regulate its meetings and proceedings in such manner as it may determine. (4) A committee shall submit its report within such time as the Council may determine. (5) The report referred to in subsection (4) shall contain the committee’s observations, comments, recommendations or findings, if any, on any matter referred to it. (b) shall not take part in any deliberations of the meeting of the Council, the Registration Board or the committee relating to that matter. (2) A disclosure of interest made under subsection (1) shall be recorded in the minutes of proceedings of the meeting of the Council, the Registration Board or the committee. (1) The Council shall appoint, on such terms and conditions as it may determine, a professional architect to act as Registrar of the Council. (2) The Registrar shall be responsible for the proper administration of the Council. (d) may take part in the deliberations of a meeting of the Council, but shall not have the right to vote. (4) The Registrar may also act as the Treasurer to the Council. (5) The Registrar shall have such other functions as may be conferred upon him by the Council. (6) Where the Registrar is for any reason unable to perform his functions, the Council may appoint another professional architect to act as Registrar. (c) borrow money and raise funds. (2) The Registrar may, with the approval of the Council, delegate his functions and powers to such officer as he may designate. (1) The Council may appoint, on such terms and conditions as it may determine, such officers as it considers necessary for the proper discharge of its functions under this Act. (2) Every officer shall be under the administrative control of the Registrar. (b) appeals by officers against dismissal and any other disciplinary measure. No liability, civil or criminal, shall be incurred by the Council, any member or officer, in respect of any act done or omitted by it or him in good faith in the discharge of its or his functions, or exercise of its or his powers, under this Act or any regulations made under it. (1) The Minister may give such directions of a general character to the Council, not inconsistent with this Act, as he considers necessary in the public interest, and the Council shall comply with those directions. (b) an authorised foreign architect. (c) from working as an employee or subordinate of an architect where such work does not include final designs or decisions and is done under the direct responsibility and supervision of an architect. (d) pays such registration fee as may be prescribed. (2) (a) A person who wishes to be registered as a professional architect shall make a written application to the Registrar in such form and manner as the Council may determine. (v) such processing fee as may be prescribed. (3) On receipt of an application made under subsection (2), the Registrar shall refer the application to the Registration Board for its recommendations. (4) (a) The Council may, after due consideration of the recommendations of the Registration Board, grant or reject the application and shall forthwith notify the applicant of its decision. (b) Where the Council grants an application under paragraph (a), it shall, on payment of such registration and annual fees as may be prescribed, register the applicant as a professional architect and issue him with a certificate of registration, subject to such terms and conditions as the Council may determine. (c) Where the Council registers a professional architect under paragraph (b), the Registrar shall forthwith enter, in the register of professional architects, the name, address, qualification and other particulars of that professional architect. (5) Where the Council is satisfied that a professional architect has lost his certificate of registration, it may, on payment of such appropriate fee as may be prescribed, issue a duplicate certificate of registration to him. (1) The Registrar shall keep a register of professional architects or such other registers as may be necessary in such form and manner as the Council may determine. (d) such other particulars as the Council may consider appropriate. on or before 30 November of every year, pay to the Registrar such annual fee as may be prescribed, in respect of the year commencing on 1 January of the following year. (2) Where a professional architect fails to comply with subsection (1), he shall be liable to pay the annual fee together with a surcharge of 50 per cent of the annual fee by 31 January of the year in respect of which it is due. (3) Where a professional architect fails to pay the annual fee together with the surcharge required under subsection (1), the Council may deregister the professional architect. (4) Where a professional architect has been deregistered under subsection (3), the Council shall cause the Registrar to remove the name and other particulars of the professional architect from the register of professional architects. (5) The Council may, where the name and other particulars of a professional architect have been removed from the register of professional architects under subsection (4), restore the name and other particulars of the professional architect on good cause shown and on payment of the annual fee together with its surcharge. (1) The Registrar shall, in February of every year, transmit to the Minister a list of all professional architects registered for that year. (2) The Council shall, not later than the end of February of every year, publish in the Gazette an annual list of professional architects for that year. (b) student architect, unless he satisfies the Council that he is attending a full-time course in architecture at a university or other institution approved by the Council. (2) A person who wishes to be enrolled as a trainee or student architect shall make a written application to the Registrar in such form and manner as the Council may determine. (3) On receipt of an application made under subsection (2), the Registrar shall refer the application to the Council for its determination. (b) in the case of a student architect, his name, address and other particulars in a register of student architects. (5) Where the Council rejects an application, it shall forthwith notify the applicant of its decision. (d) he is appointed, subject to section 27, by the Public Service Commission. (f) he pays a fee of 0.05 per cent of the value of the project to the Council. (2) Where a foreign architect wishes to be authorised to practise architecture under this section, he or his joint venture partner shall make a written application for authorisation to the Registrar, in such form and manner as the Council may determine. (f) such processing fee as may be prescribed. (4) On receipt of an application made under subsection (2), the Registrar shall refer the application to the Council for its determination. (5) The Council shall consider the application within 30 days from the time the application has been referred to it by the Registrar. (6) Where the applicant complies with the requirements specified in subsections (1) and (3), the Council may grant the application. (7) (a) The Council shall, within 14 days of granting or rejecting an application, notify the applicant of its decision. (ii) pay a fee of 0.05 per cent of the value of the project to the Council. (c) Where the applicant complies with paragraph (b), the Council shall authorise the foreign architect to practise architecture in relation to the project referred to in the application under subsection (2), subject to such terms and conditions as it may determine. (c) Where the applicant complies with paragraph (b), the Council shall authorise the foreign architect to practise architecture in 70 Acts 2011 relation to the project referred to in the application under subsection (2), subject to such terms and conditions as it may determine. (d) Where the applicant fails to comply with paragraph (b), the grant of the application shall lapse. (c) the construction of the building referred to in paragraph (b) is wholly or partly financed by a foreign Government, a foreign financial or banking institution, or by an international financial organisation. (2) Where a foreign architect wishes to practise architecture under subsection (1), he, the statutory corporation or the Government Company, shall make a written application for authorisation to the Registrar, in such form and manner as the Council may determine. partly financed by a foreign Government, a foreign financial or banking institution, or by an international financial organisation; (d) such additional document or information as the Registrar may require; and (e) such processing fee as may be prescribed. (6) (a) Where the applicant complies with the requirements specified in subsections (1) and (3), the Council may grant the application and authorise the foreign architect to practise architecture, subject to such terms and conditions as it may determine. (b) The Council shall, within 14 days of granting or rejecting an application, notify the applicant of its decision. (b) he is appointed by the Public Service Commission. (c) a breach of the Code of Practice, against an architect, including a professional architect in respect of whom the Council holds a delegated power. against an architect, including a professional architect in respect of whom the Council holds a delegated power. (d) may call for the communication or production of any relevant record, document or article. (3) The Council investigating into a complaint under subsection (1) shall keep a proper record of its proceedings. (4) Where, in the course of an investigation, any person refuses to communicate or produce any record, document or article, on the ground of confidentiality, the Registrar may apply to a Judge in Chambers for an order directing that person to communicate or produce the record, document or article required for the purpose of the investigation. (5) Where the Judge is satisfied that the record, document or article sought is bona fide required for the purpose of the investigation, he may make an order under subsection (4). (6) The Council may, for the purpose of an investigation under subsection (1), appoint a committee consisting of not less than 3 members. (1) Where, after an investigation has been carried out under section 28, the Council considers it necessary to prefer charges against an architect, it shall forward to the architect a statement of those charges and call upon him to state in writing, before a date to be specified by the Council, any grounds on which he relies to exculpate himself. (2) Where the architect does not furnish a reply to any charge forwarded under subsection (1) within the period specified or where, in the opinion of the Council, he fails to exculpate himself, the Council may, subject to section 34, institute disciplinary proceedings against him before a Professional Conduct Committee. (b) 2 assessors, who shall be professional architects with not less than 15 years’ experience and who are not members. (2) The President and assessors of a Professional Conduct Committee shall be appointed by the Council on such terms and conditions as the Council may determine. (3) The Council shall appoint a Secretary to a Professional Conduct Committee, who shall keep the minutes of proceedings of any meeting of the Professional Conduct Committee. (4) (a) Where a President or an assessor is related by blood or marriage to an architect who is the subject of disciplinary proceedings, the President or assessor shall disclose his relationship to the Professional Conduct Committee and shall not take part in those proceedings. (b) Any disclosure made under paragraph (a) shall be recorded in the minutes of proceedings. (c) Where a President or an assessor does not take part in the proceedings under paragraph (a), the Council shall appoint another person to replace him. (d) Any person appointed under paragraph (c) shall satisfy the requirements referred to in subsection (1)(a) or (b), as the case may be. (1) A Professional Conduct Committee shall meet at such time and place as the President thinks fit. (2) Where disciplinary proceedings are instituted under section 29, the Professional Conduct Committee shall inquire into the charges preferred against the architect. (b) take evidence on oath, solemn affirmation or declaration and, for that purpose, administer an oath, solemn affirmation or declaration, as the case may be. (4) Where, in the course of any disciplinary proceedings, a person refuses to communicate or produce any record, document or article, on the ground of confidentiality, the Registrar may apply to a Judge in Chambers for an order directing that person to communicate or produce the record, document or article required for the purpose of the proceedings. (5) Where the Judge is satisfied that the record, document or article sought is bona fide required for the purpose of the proceedings, he may make an order under subsection (4). (1) A Professional Conduct Committee shall, after having heard any disciplinary proceedings, forward to the Council its report and a copy of its proceedings, including any record, document or article produced, not later than one month after the completion of the proceedings. (c) a summing up and such comments as will indicate clearly the opinion of the Professional Conduct Committee on the subject matter of the disciplinary proceedings. (3) A Professional Conduct Committee shall not, in its report, make any recommendation regarding the form of disciplinary measure. (iii) deregister him from practising architecture. (b) Where the report is in relation to an authorised foreign architect and states that the charge has been proved, the Council may revoke his authorisation or take such appropriate disciplinary measure as it may determine. (c) Where the report is in relation to a professional architect in respect of whom the Council holds a delegated power, the Council shall submit its own report to the Public Service Commission, in accordance with regulation 46E of the Public Service Commission Regulations. (5) Where the punishment inflicted by the Public Service Commission on a professional architect, in respect of whom the Council holds a delegated power, is dismissal or retirement in the interest of the public service, the Council shall determine whether or not the professional architect shall be suspended or deregistered from practising architecture. (6) A decision of the Council under subsection (4) or (5) shall be communicated to the architect not later than 14 days from the date of the decision. (b) in the case of an authorised foreign architect, revoke his authorisation. (2) The Registrar shall cause any suspension or deregistration under this Act to be published in the Gazette and in 2 daily newspapers. respect of whom the Council holds a delegated power, that he has committed an act or omission which, in its opinion, is not considered to be of a serious nature, it may inflict upon him a warning or severe warning. Where a professional architect has been deregistered from practising architecture under this Act, the Council shall cause the Registrar to remove the name and other particulars of the professional architect from the register of professional architects. (1) Where the name and other particulars of a professional architect have been removed from the register of professional architects in accordance with this Act, the name and other particulars of that person shall not be restored except by order of the Council or of the Supreme Court. (2) The Council may, on its own motion or on application of the person concerned and after holding such inquiry as it may determine, cause the name and other particulars of a person which have been removed from the register of professional architects to be restored. (b) out of which all payments required to be made by the Council shall be effected. (1) Subject to subsection (2), no deed, instrument, contract or other document shall be executed or signed by or on behalf of the Council unless it is signed by the Chairperson or, in his absence, by the Vice-Chairperson. Article 910 of the Code Civil Mauricien shall apply to the Council. (1) The Council shall keep proper accounts of all sums received and paid. (2) The accounts for each financial year shall be audited by a licensed auditor appointed by the Council. The Council shall have a seal which shall bear such device as may be approved by the Council. (1) The Council shall act, sue and be sued in its corporate name. (2) Service of process by or on the Council shall be sufficient if made on behalf of or on the Registrar. (1) No member or officer shall, during or after his relationship with the Council, use or disclose any matter which comes to his knowledge in the performance of his functions, except for the purposes of administering this Act. (2) Any person who, without lawful excuse, contravenes subsection (1) shall commit an offence and shall, on conviction, be liable to a fine not exceeding 50,000 rupees and to imprisonment for a term not exceeding 12 months. (c) to take any disciplinary measure against him, may apply for judicial review of the decision before the Supreme Court. (2) On an application under subsection (1), the Supreme Court may give such directions in the matter as it may determine. (b) For the purpose of this section, the performance of a single act relating to the practice of architecture may be held to be sufficient evidence of such practice. (ii) a firm of architects from using the name or title containing the word “Architect”. (ii) whilst being deregistered from practising architecture, shall commit an offence. (b) A foreign architect who practises architecture where his authorisation to practise architecture under section 25, 26 or 27 has been revoked shall commit an offence. (j) contravenes any regulations made under this Act, shall commit an offence. (4) Any person who commits an offence under this Act shall, on conviction, where no specific penalty is provided, be liable to a fine not exceeding 50,000 rupees and to imprisonment for a term not exceeding 12 months. (1) The Minister may, for the purposes of this Act, make such regulations as he thinks fit. (d) that any person who contravenes them shall commit an offence and shall, on conviction, be liable to a fine not exceeding 50,000 rupees and to imprisonment for a term not exceeding 12 months. The Professional Architects Council Act is repealed. (1) In this section – “licensed architect” has the same meaning as in the repealed Act; “repealed Act” means the Professional Architects Council Act. (2) Every professional architect registered under the repealed Act shall, at the commencement of this Act, be deemed to be registered as a professional architect under this Act. (3) Every licensed architect under the repealed Act shall, at the commencement of this Act, be deemed to be registered as a professional architect under this Act. (4) The Registrar shall enter in the register of professional architects the name, address, qualification and other particulars of every professional architect whose name, address, qualification and other particulars appear on the register of professional architects kept under the repealed Act. (5) (a) Every person who, at the commencement of this Act, is a member of the Council under the repealed Act shall continue in office until the first composition of the Council under this Act. (b) The election of the members for the first composition of the Council shall be conducted in the manner specified in the Schedule. (6) The Registrar appointed under the repealed Act shall continue in office until the first composition of the Council under this Act. (7) Any foreign architect who, at the commencement of this Act, is providing architectural services in relation to a project, may continue to provide those services in relation to that project. (8) The contract of every person employed on a fixed term performance contract by the Council under the repealed Act shall, at the commencement of this Act, be deemed to have been entered into by the Council. (9) The assets and funds of the Council under the repealed Act shall, at the commencement of this Act, vest in the Council. (10) Any act or thing done by the Council under the repealed Act shall, at the commencement of this Act, be deemed to have been done by the Council. (11) All proceedings, judicial or otherwise, commenced before and pending at the commencement of this Act, by or against the Council under the repealed Act, shall be deemed to have been commenced, and may be continued, by or against the Council. (12) Section 8(b) of the Building Act, as amended by section 48(b) of this Act, shall not apply to an application for a permit pending at the commencement of this Act. (13) Where this Act does not make provision for any transition, the Minister may make such regulations as may be necessary for such transition. (2) Different dates may be fixed for the coming into operation of different sections of this Act. Passed by the National Assembly on the nineteenth day of April two thousand and eleven.